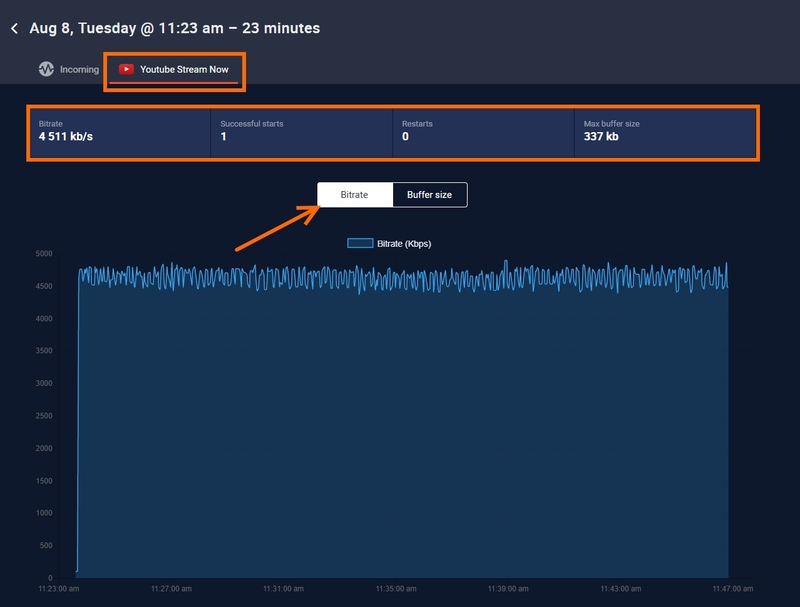 Restream Monitor - is a special tool that allows you to monitor your streams in real time! 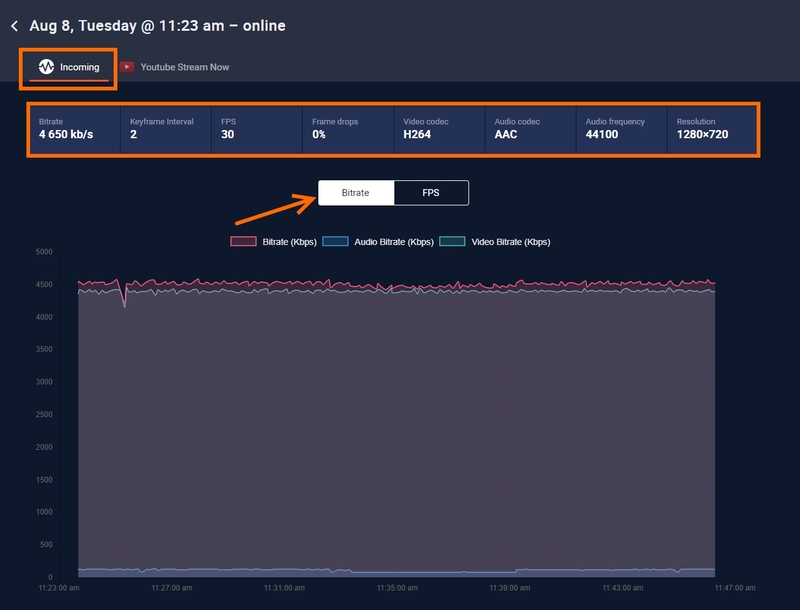 Easily see incoming and outgoing streams data for all of your connected platforms, with a sleek intuitive interface. This brand new tool will help you to diagnose and find issues within your streaming sessions and maximize viewer experience across all of your destinations! You can easily access your monitor in the menu of the website. Or just click here! Here is your stream history displayed along with the duration and also ongoing stream will be indicated as "Online". Simply click on it to proceed to the monitor itself. Let's take a look at its simple interface. Here we have our incoming stream data, which updates in the real time. Tip: On the graphs, we can monitor our current bitrate and frames per second by switching to it. From the incoming stream tab, we can switch to any outgoing connected channel. Max buffer size - the maximum amount of the buffer size occurred throughout the whole streaming session. On the graphs, we can monitor the current bitrate and switch to the buffer size in real time. Restream Monitor will help you diagnose, understand and resolve the problems with your streams and have the best multi-streaming experience! Important tip: Check out this awesome article if you want to maximize benefits of Restream monitor and learn how analyze the data!